These scissors feature advanced ceramic blades, which will never rust, pit or corrode, making them ideal for moisture-prone environments. Their long-lasting sharpness is achieved by the hardness, straightness and precise alignment of the advanced ceramic blades. 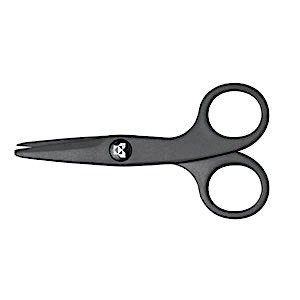 Typically half the weight of traditional scissors, they are astonishingly light, sharp and wear-resistant. Nonmagnetic and nonconductive, the blades feature safety blunting and proper alignment.